Peli's Remote Area Lighting Systems (RALS) bring fully portable, energy-efficient and environmentally responsible lighting technology to places where trucks and gas powered generators can't. 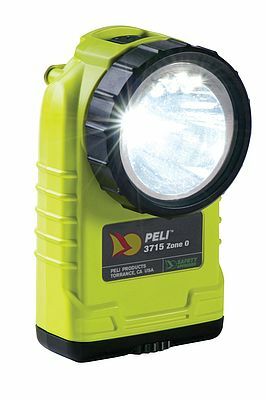 The 9435 is the latest addition to this family of portable LED Area Lights and the first approved for hazardous locations (ATEX, Zone 2 / Cat. 3). The device's LEDs and dual power mode (with water-proof switch) radiate 1,500 lumens in high and 750 in low. Also new is the 3715Z0 LED Right Angle Light. Featuring downcast LEDs for illuminating your path, the new light also features 174 lumens (high), 95 lumens (low), and a signaling mode. Being certified to ATEX Cat. 1 (Zone 0), this lightweight and tough lighting tool was designed for the worst case scenario and allows safe usage in some of the most dangerous environments. The new range of HardBack Protector Cases includes travel armour for portable electronics from eBooks and 7 and 10 inch tablets, including iPad, to 14 and 15 inch laptops. The cases offer anti-scratch, foam inserts to add another layer of protection for delicate electronics.